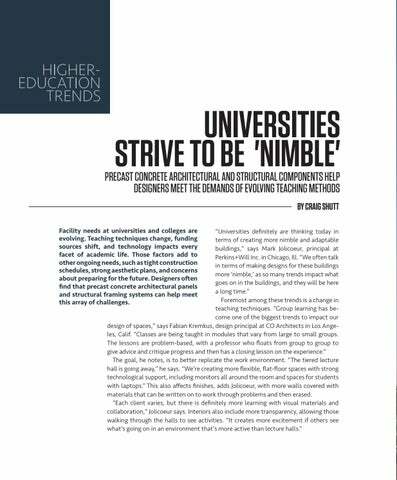 PRECAST CONCRETE ARCHITECTURAL AND STRUCTURAL COMPONENTS HELP DESIGNERS MEET THE DEMANDS OF EVOLVING TEACHING METHODS BY CRAIG SHUTT Facility needs at universities and colleges are evolving. Teaching techniques change, funding sources shift, and technology impacts every facet of academic life. Those factors add to other ongoing needs, such as tight construction schedules, strong aesthetic plans, and concerns about preparing for the future. 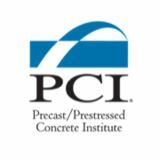 Designers often find that precast concrete architectural panels and structural framing systems can help meet this array of challenges.